Fujifilm X10: It's really, really good BUT, BUT, BUT . . .
Burj Al Arab Beach, Dubai, UAE. As techy as the camera is, it can also be as simple as the most idiot-proof gadgets. 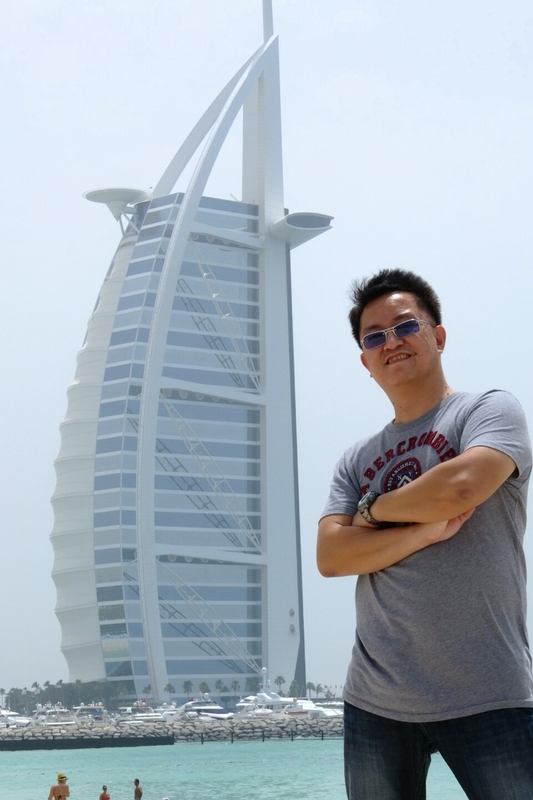 Here, I had no problem handing it to someone who's not familiar with the camera to take my picture with the Burj Al Arab. The title of this blog should have been "Dubai and Abu Dhabi Through the Lens of the Fujifilm X10", but I thought it was very long and sounded more like a travel blog than a camera review. 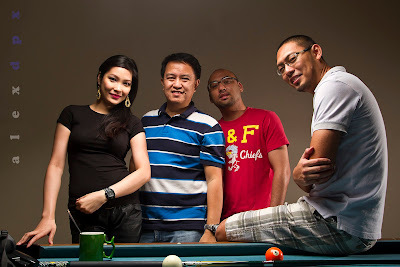 I've had the X10 for over a month now and have been using it for some casual shoots. I've been liking it so far but when I took it to Abu Dhabi and Dubai for a weekend trip, that's when its negative qualities began to show up. I will admit upfront that I'm borrowing this lighting concept from the notebook of American corporate photographer David Tejada. He lights a scene in ways that doesn't look artificially lit. They come out naturally realistic and believable. Recreating the warm glow of sunset in a fairly shaded scene is one of those that stuck to my head and have been using in a few of my previous photoshoots. 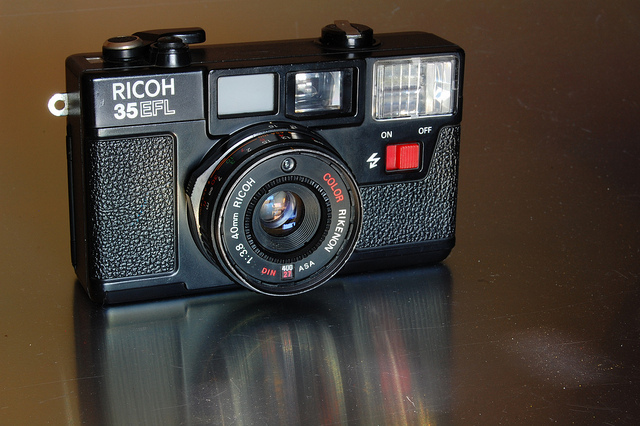 My first camera, Ricoh 35 EFL with a fixed Rikenon 40mm f/3.8 lens and built-in electronic flash. My interest in photography started when I was very, very young . . . I'm pretty sure it was in my elementary school days. But I would say that my "addiction" with the shutter bug began to worsen in 3rd year high school when I managed to convince my parents to buy the above pictured camera as their birthday present to me - that was way back in October of 1983.